Dogs are required to be licensed in the Village Of Paddock Lake. The due date for obtaining a license is March 31st of every year. The fee for spayed/neutered dogs is $5 per animal/per year. 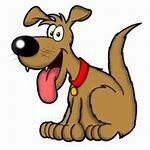 The fee for dogs not spayed/neutered is $11 per animal/per year. There is an additional late fee of $10 per dog if purchased after March 31st.